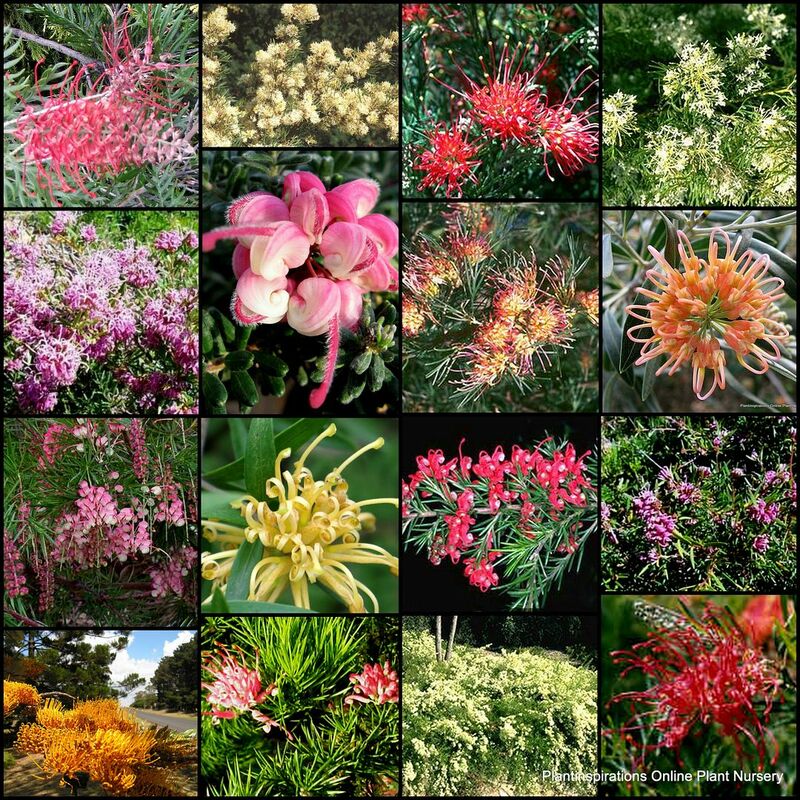 Grevillea Mixed x 8 plants 4 types Hardy native garden shrubs/groundcover plants. Flowering Bird Attracting. The plants you will receive in this listing will be 10-20cm tall (depending on the variety), will be in individual 40x70mm or 50x70mm pots, will have established roots and will be ready to plant into your garden. Hardy, fast growing Australian natives that produce magnificent floral displays. Drought and frost resistant. Will handle periods of harsh conditions once established. Can be trimmed and trained into shape. Great for native gardens, rockeries, borders, mass plantings, pots, bonsai etc. Position: Full sun to semi-shade. Flowers: Prolific grevillean spider flowers, usually from April to November. We have usually have at least 40 varieties of grevilleas in stock. You can specify whether you want them to be low or medium sized shrubs and we usually have at least 2 to 3 forms of grevillea groundcovers. You will receive a mixture of long flowering varieties that is part of our huge Australian natives collection and they will grow in a wide range of conditions. Please email us to confirm availability before purchasing if you are after a specific selection. Occasionally we do run out of some varieties for a while, as we move a large amount of stock. Grevillea 'Big Red' (very large red flowers, 2 to 3 metres). We also have other many other varieties available. 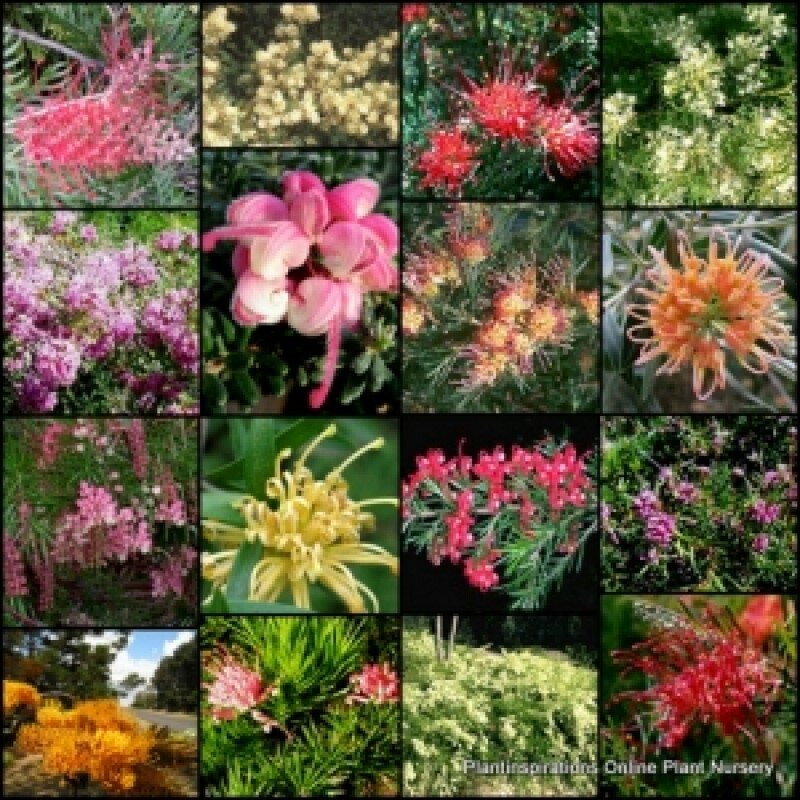 The pictures around this listing is of some of the forms of grevillea we often stock. We work hard ensuring our plant descriptions and notes are as accurate as possible. Please let us know if you find errors or have information that will improve them.